No more crime?! Thanks Google! There were several articles written last year about Google Street View and how it is a huge invasion of privacy (see The New York Times article "Google Zooms In Too Close for Some"). But Street View could prove to eliminate crime and help police find criminals in a specific area. Check out this recent story about a woman who allegedly kidnapped her granddaughter, but was ultimately caught by the police who tracked her down using Google. "Using technology more commonly seen in television crime dramas, an Athol police officer and a deputy chief in the town's Fire Department were able to track a woman and her allegedly kidnapped 9-year-old granddaughter to a motel in south-central Virginia. They notified Virginia State Police, who yesterday arrested Rose M. Maltais of 14 Grove St. without incident around 4:15 p.m.
Natalie Maltais will soon be back home with her legal guardians after Virginia State Police found her with her 52-year-old grandmother, Ms. Maltais, at the Budget Inn in Natural Bridge, Va. Police Chief Timothy C. Anderson said the child and grandmother had been missing since Saturday, when Ms. Maltais picked up Natalie for what was supposed to be a weekend visit. Alarmed by comments made to them by the grandmother that they would never see Natalie again, the child's guardians contacted police. An arrest warrant was then issued for Ms. Maltais charging kidnapping." 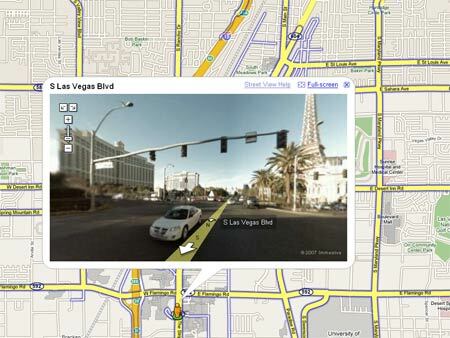 What do you think of Google Street View and/or Google Earth? Are they taking it too far? Is Google turning into Big Brother?